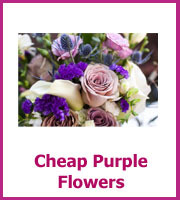 Your cheap wedding bouquet could easily end up being anything other than cheap, flowers cost a fortune especially if you have your heart set on a particular color or flower. However, there are ways to save money! Carnations, Gypsum and Tulips are freely available all year round and apart from Gypsum they can be in nearly every color you can imagine. but why not use the gorgeous colored leaves that are available at this time of year too. 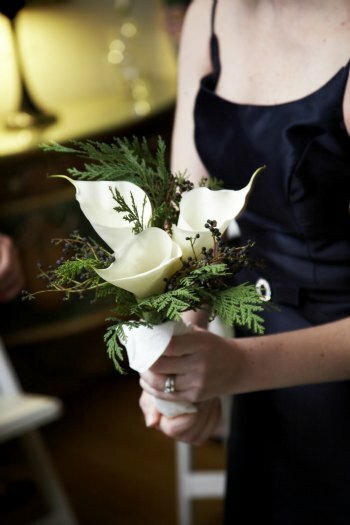 Trees with their blossom, leaves and berries will really make your bouquet unique. If your heart is set on an exotic flower that is quite expensive rather than having a big bouquet why not have a single long stem. Calla Lillies, Lillies, Roses, Gerbera Daisies, Bird of Paradise and Sunflowers are all stunning in their own right that they can look stunning as a single stem bouquet. You will need long stemmed flowers to make the most of the flower. Wrap colored ribbon around the stem and secure with pins or a brooch. If you feel that this will be too simple for you then maybe do this for your bridesmaids and have a bigger bouquet with the same flowers for you. You could make a bouquet with the long stems and wrap the ribbon around and this will look great. 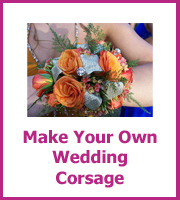 You will save money by making the bouquet yourself. There is an alternative and that is looking at artificial flowers, don't think cheap and plastic, artificial flowers have come a long way since the sixties! The new age silk flowers (or cotton/polyster blend) can look stunning, manufacturers use real flowers to create the look and spend a fortune on getting the color just right. 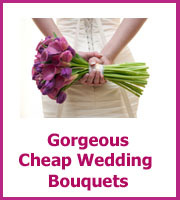 This does mean that when you first look at this alternative for your bouquet the price can be the same as real. 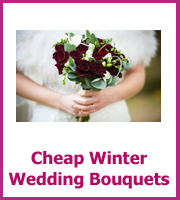 Where you save money is shopping around for the best price, look at the resell value of all your flowers - check out online auctions and if you were looking to preserve your bouquet you have saved yourself that cost. The best artificial flowers seem to be online or in florist shops. 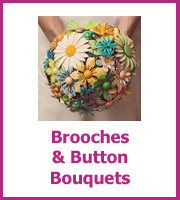 Craft shop's artificial flowers do look a bit tacky! 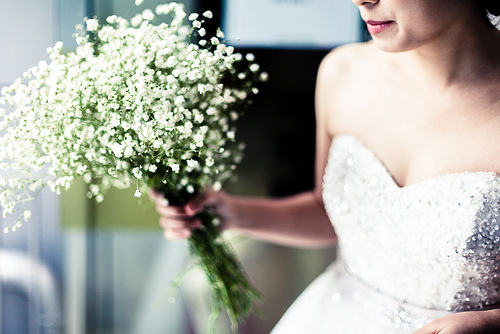 Other practical advantages are if you have hayfever or a pollen allergy or if you are having a destination wedding, all of your flowers could be made up and taken out with you. 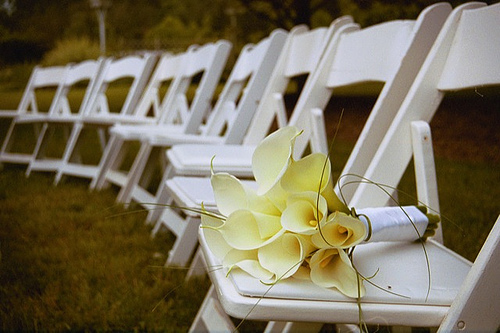 This way you could have the perfect location and your dream flowers. 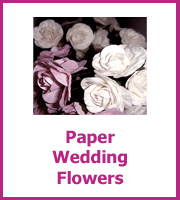 Don't just think silk flowers for your wedding bouquet you could have silk flowers for button holes and centerpieces. If silk flowers are not your thing you could have a very sparkly bouquet made of silver wire and crystals, if you wrapped the stems with ribbon it would look stunning. Most craft and gift stores have these already to be used as a display in your home and you could use it for that after!